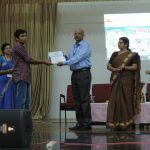 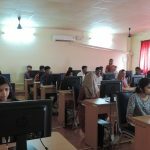 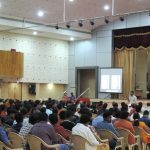 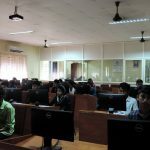 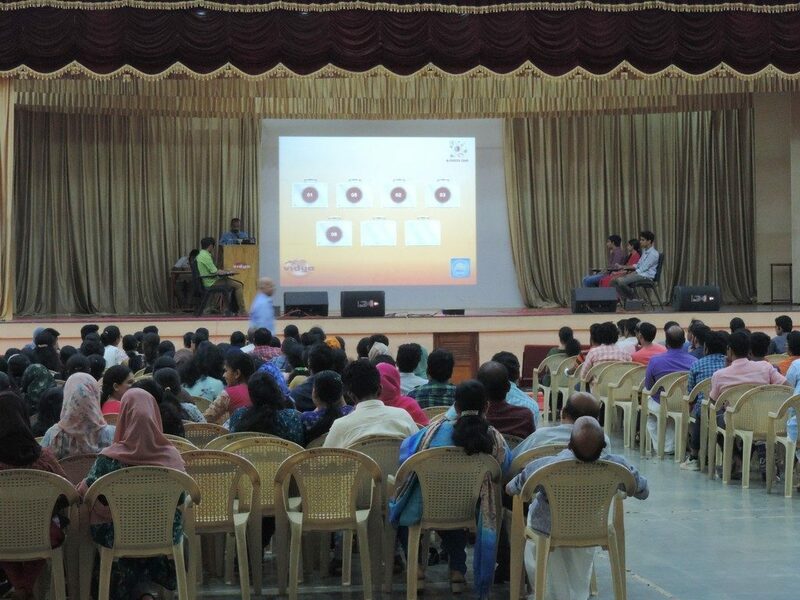 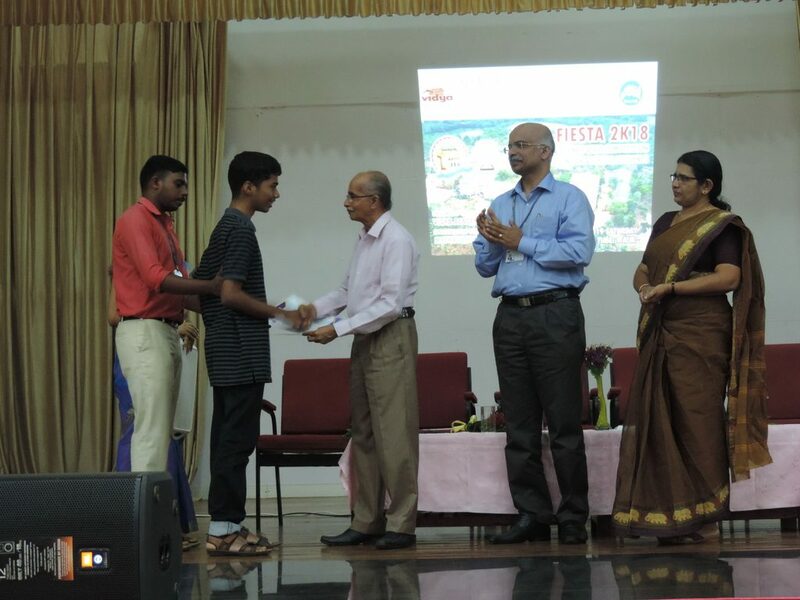 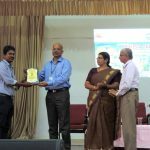 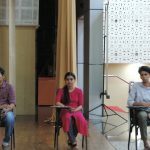 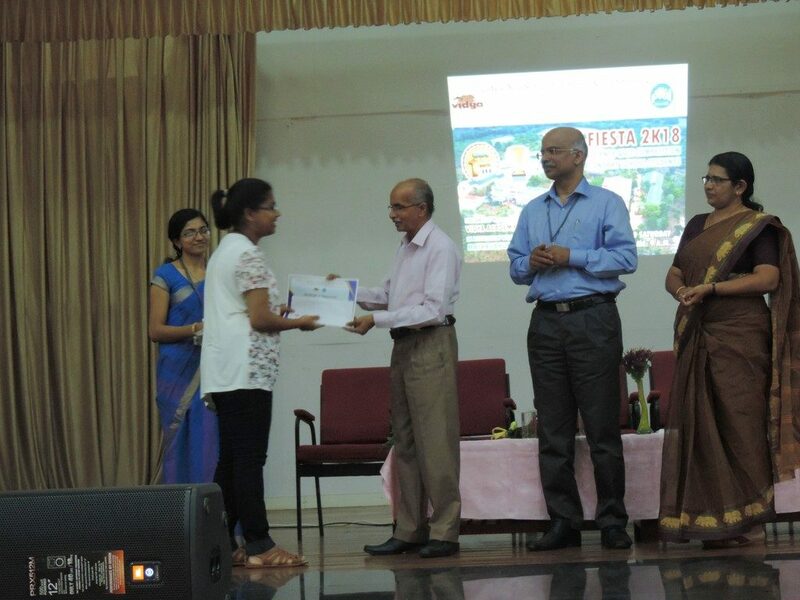 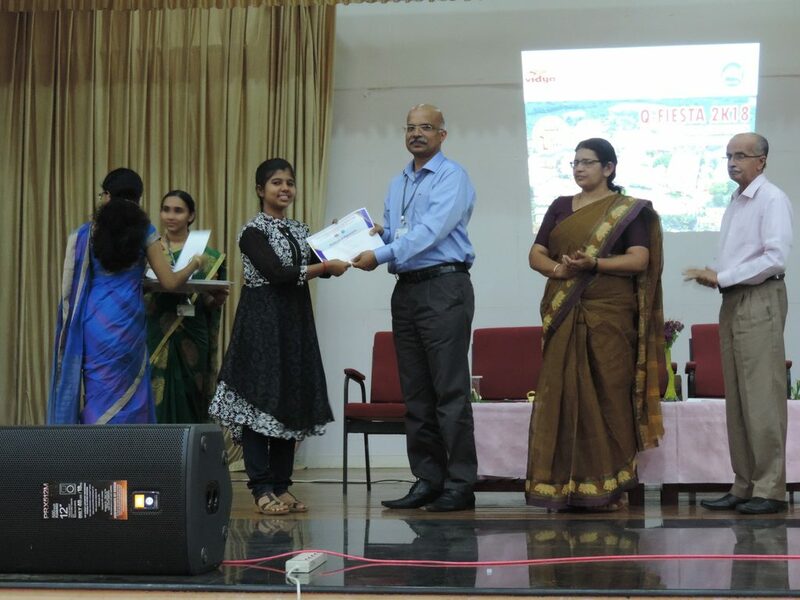 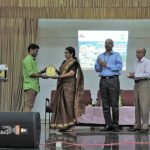 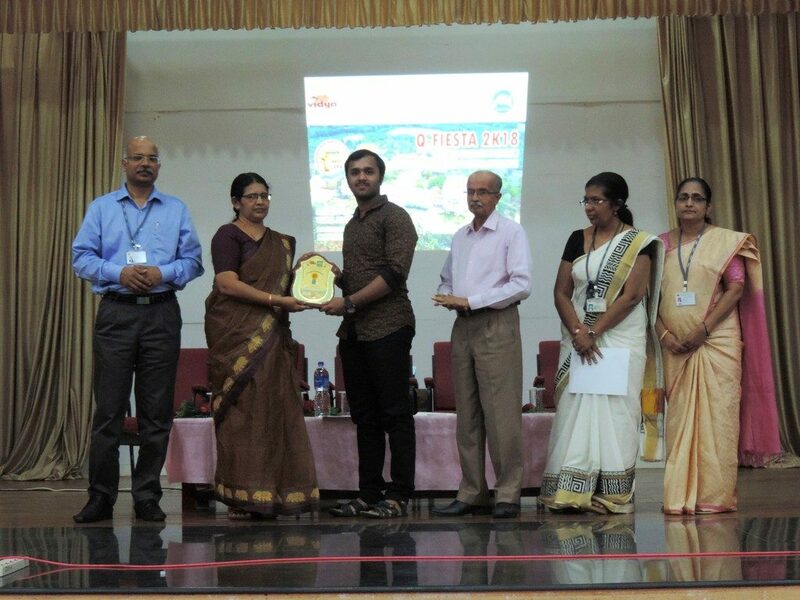 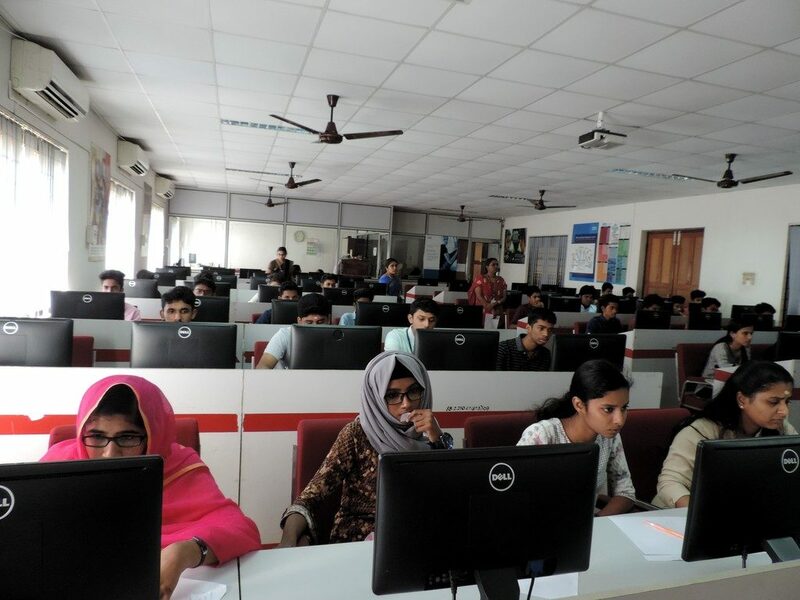 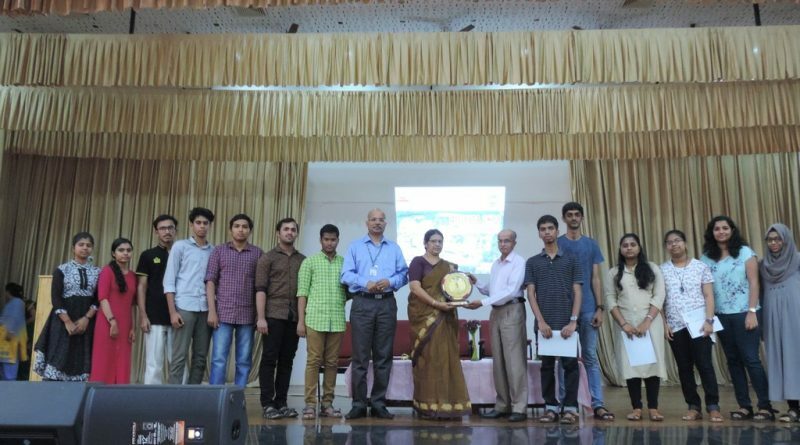 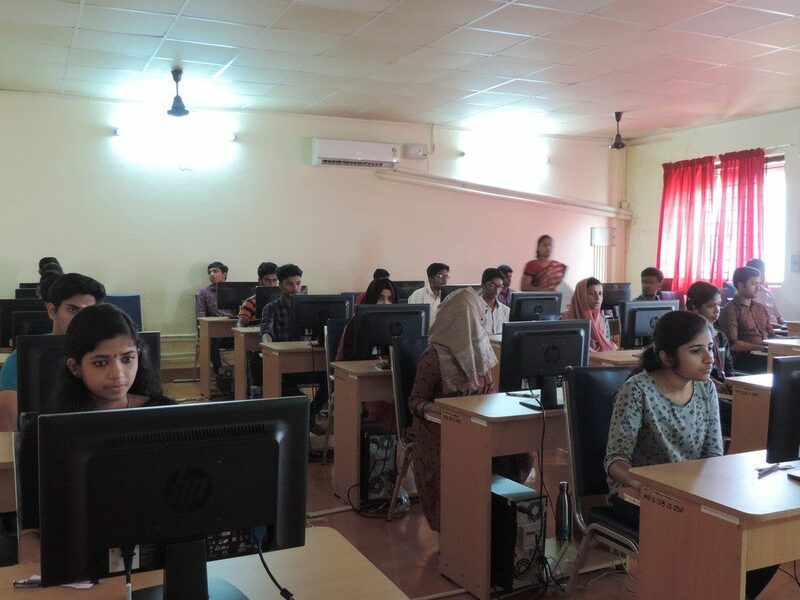 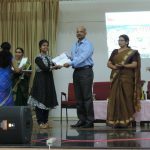 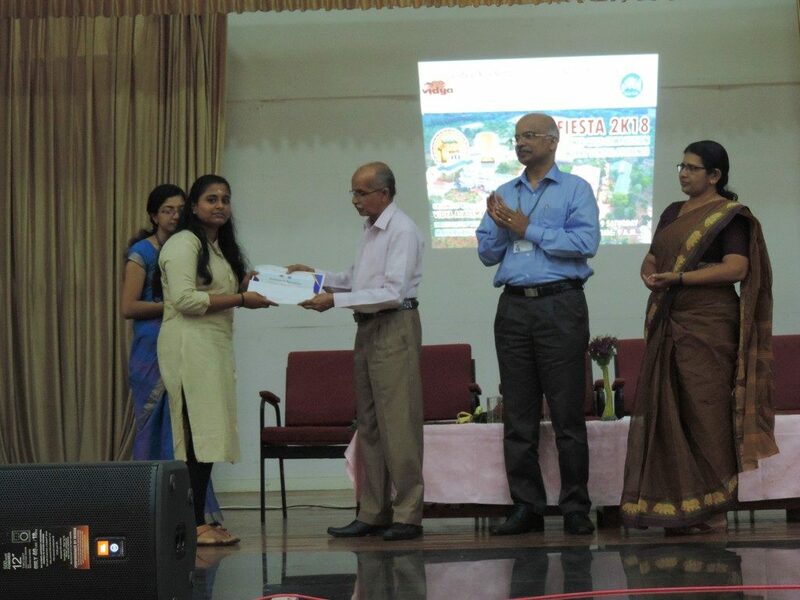 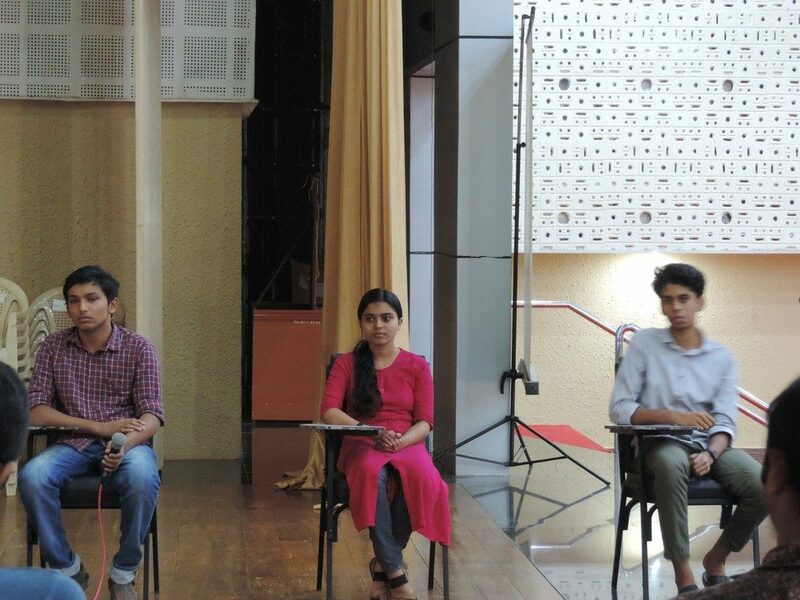 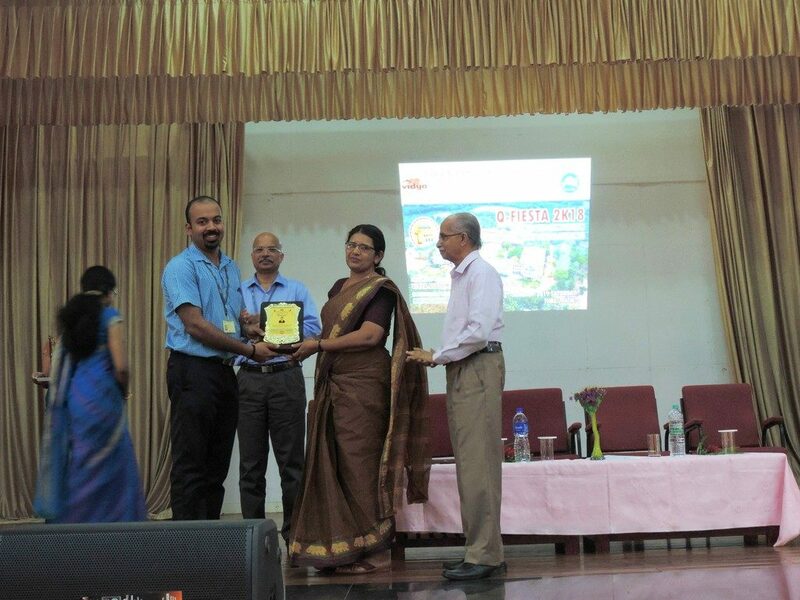 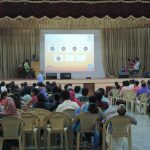 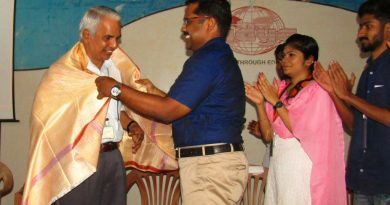 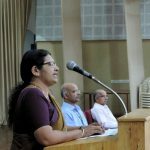 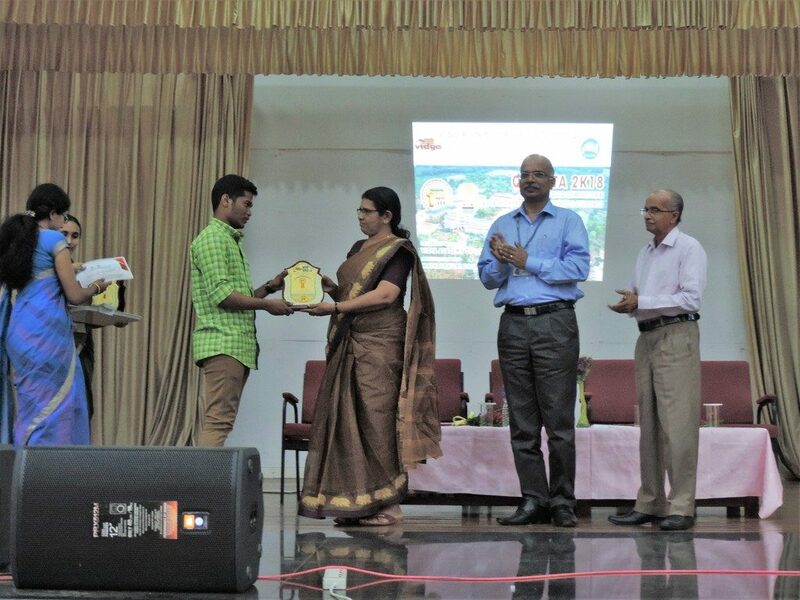 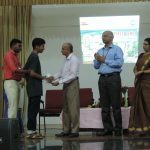 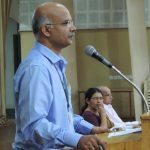 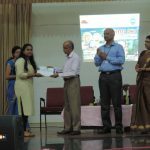 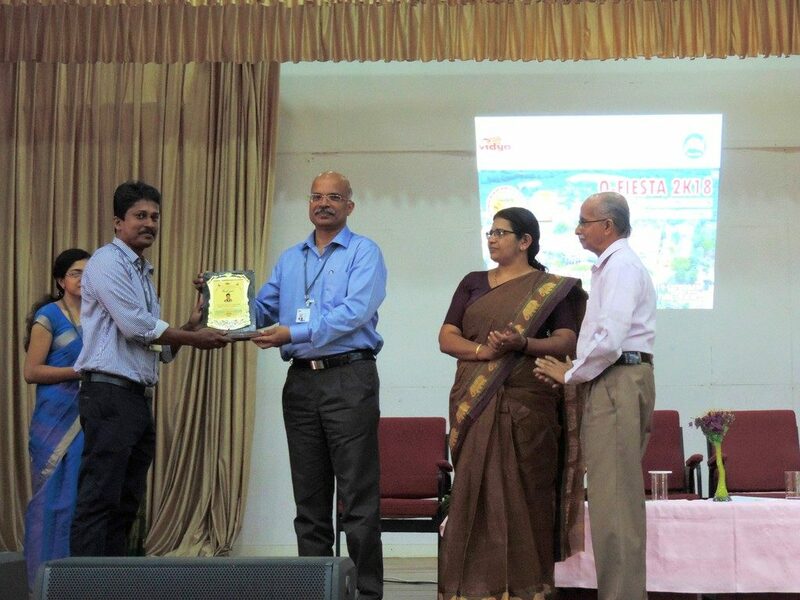 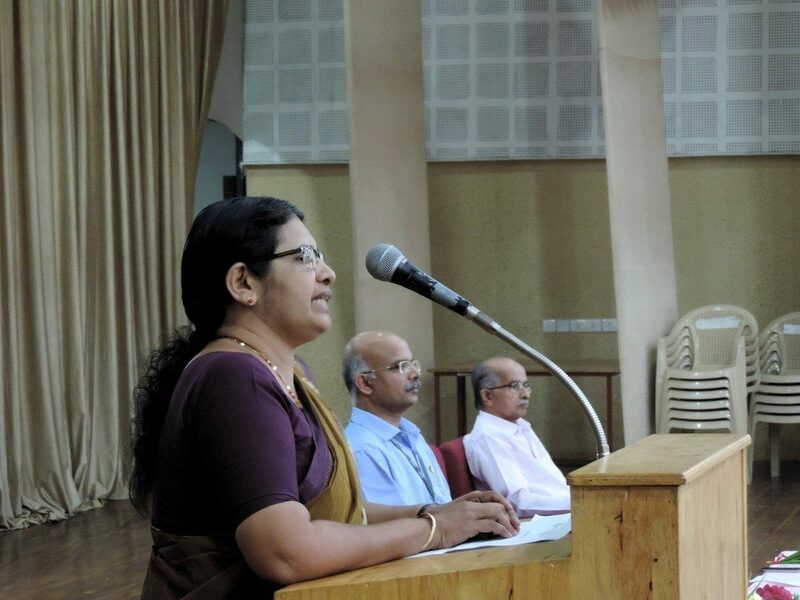 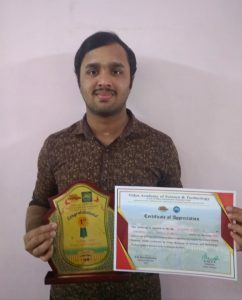 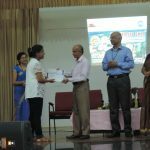 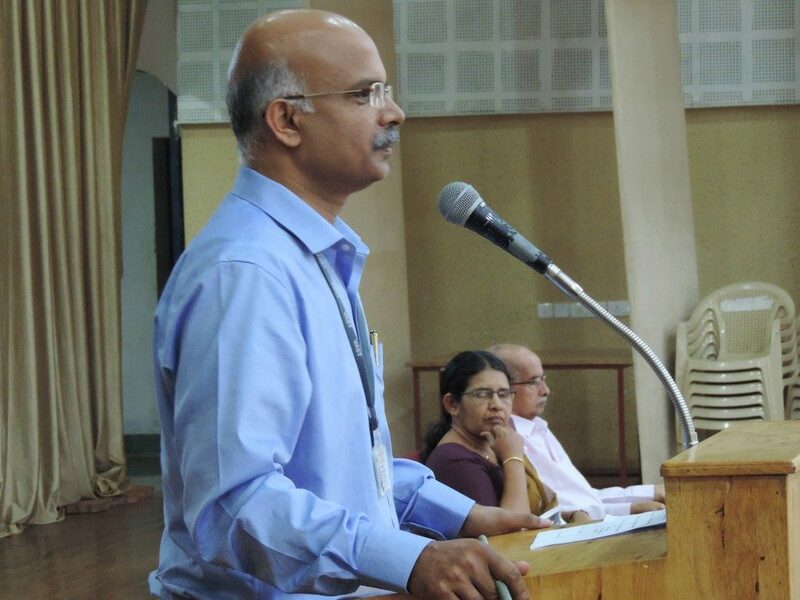 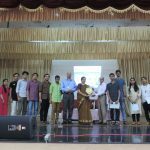 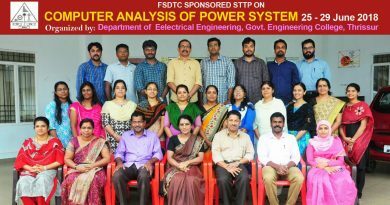 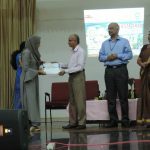 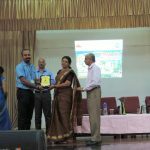 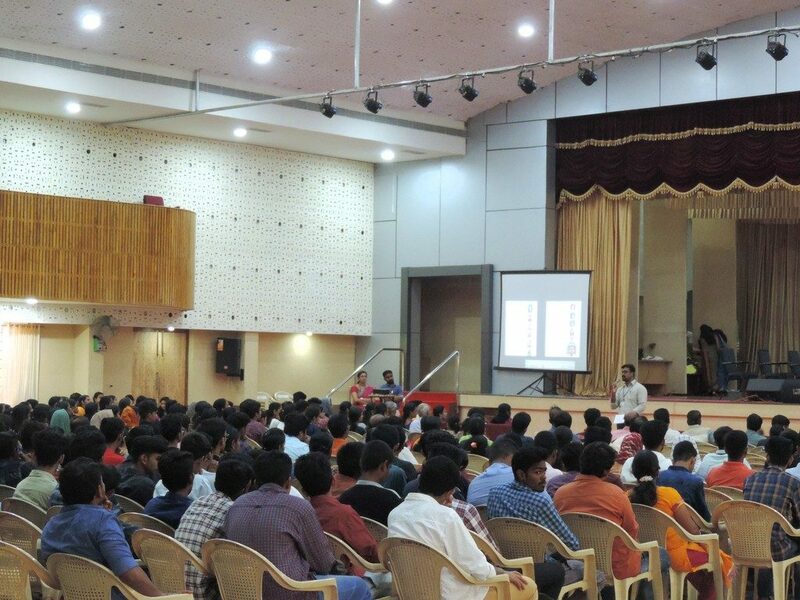 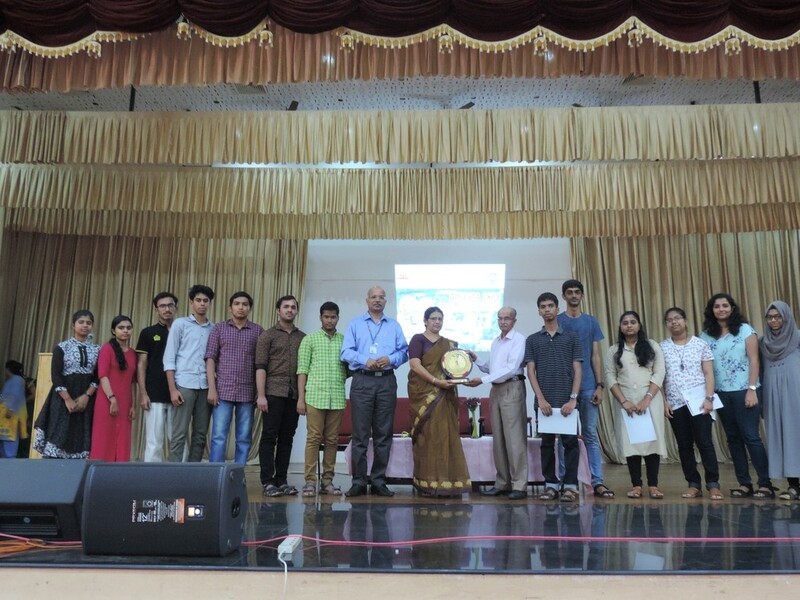 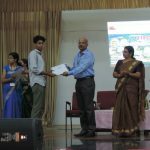 The finals of the “QFiesta 2018”, a quiz competition for school students in Kerala, jointly organised by Mathrubhumi Daily and Vidya, was held in the College on 13 January 2019. 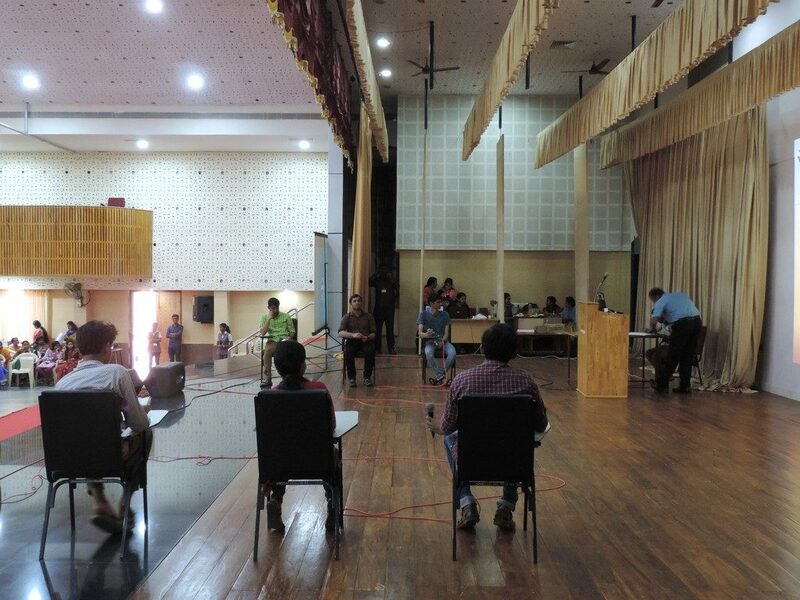 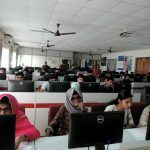 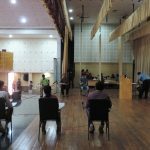 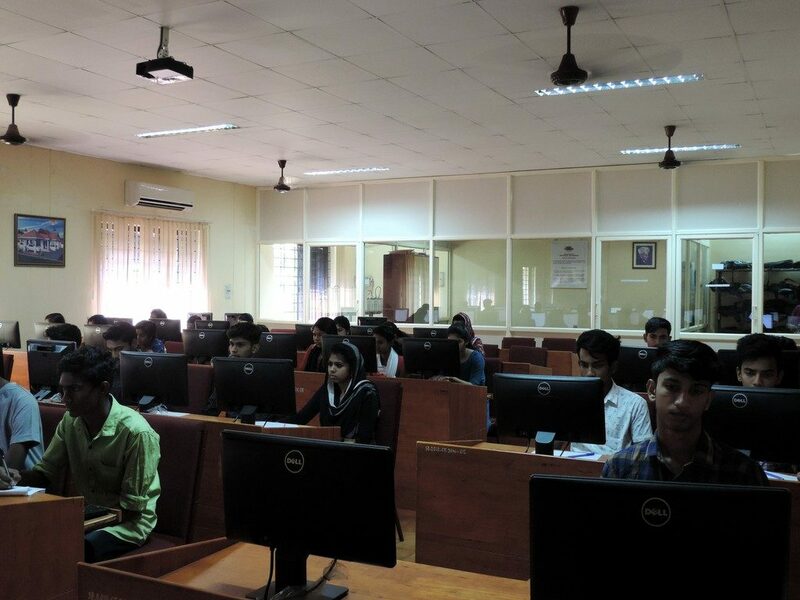 Out of the 2000 students who participated in the quiz, 432 had qualified for the semifinals. 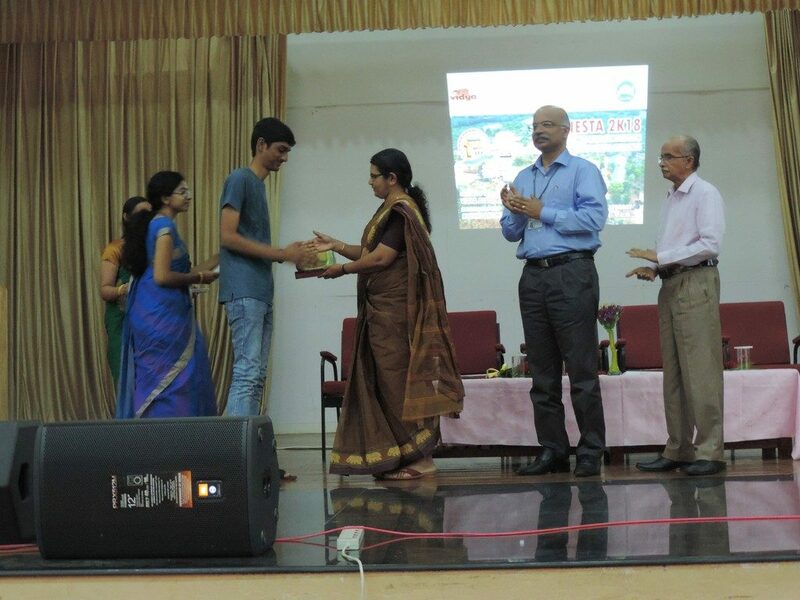 The first prize of Rs 25000 was won by Mr Sougandh Krishna K S of Bharathiya Vidya Bhavan, Poochatty. 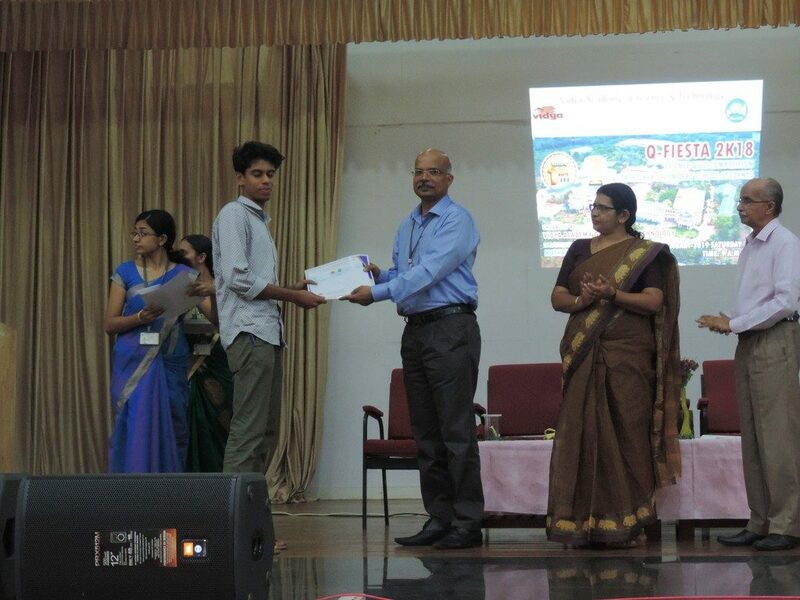 The second prize of Rs 15000 was won by Mr Parthiv Menon of Blooming Buds Bethania. 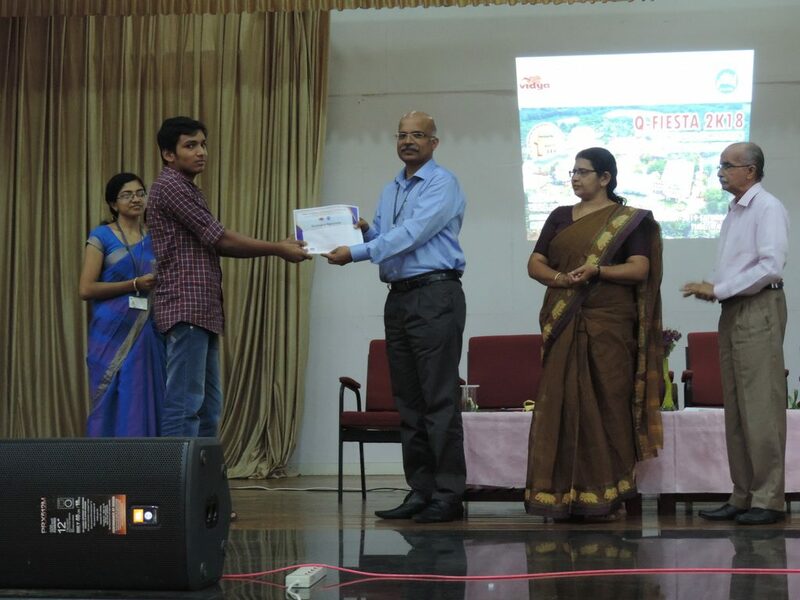 The third prize of Rs 10000 was won by Mr Harish K S of Kendriya Vidyalaya, Puranattukara. 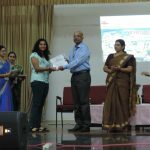 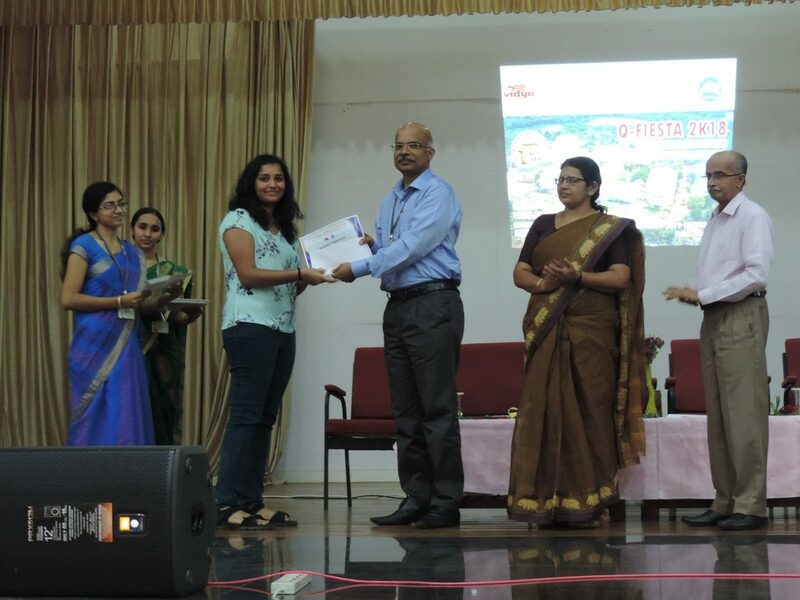 Consolation prizes of Rs 5000 were awarded to Chaithanya C, Ameen Bin Shahid, Sreerag Madhav, Lakshmi S Nair, Divya Venugopal, Sajiyo C S, Ameena Jamal, Devika Menon, Varsha K and Amal Krishna. 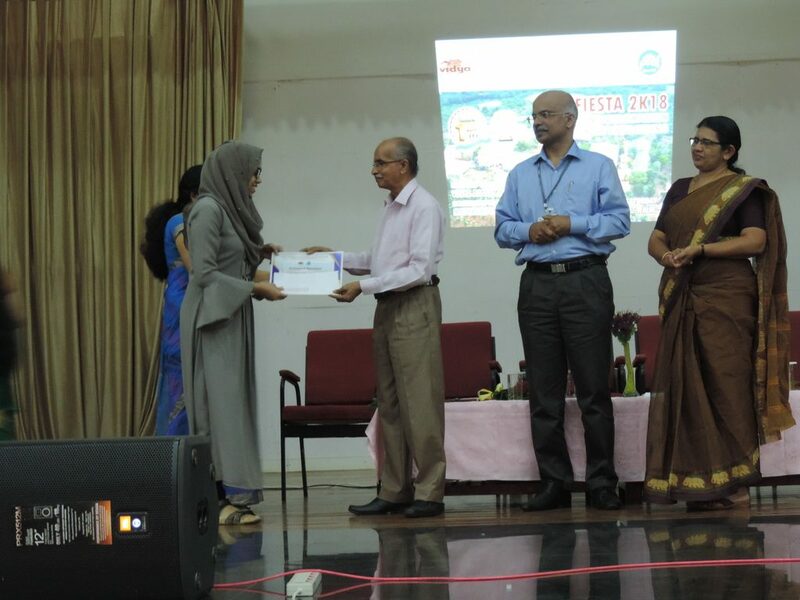 The guest of honour during the prize distribution ceremony was the National Best Teacher Award winner, Ms Shakeela teacher. 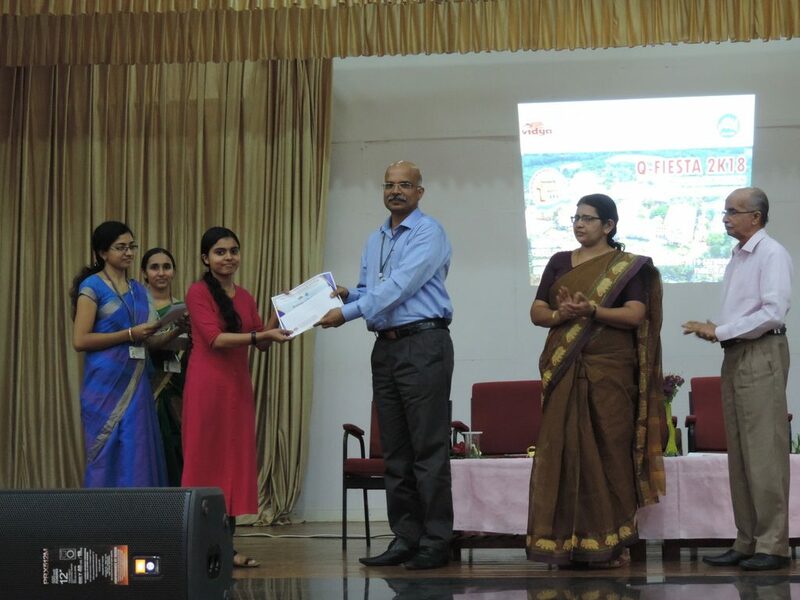 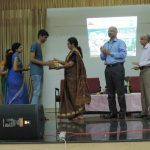 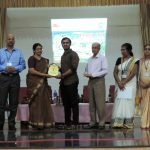 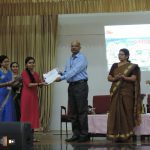 The Principal Dr Saji C B, Executive Director Er G Mohanachandran, Programme Coordinators Dr Jiby Jose and Ms Mary P V also participated in the prize distribution ceremony.